The Porsche 911 is a two-seat sports car that's instantly recognizable as one of the world's best. With the 911, Porsche offers coupe, cabriolet or targa body styles. 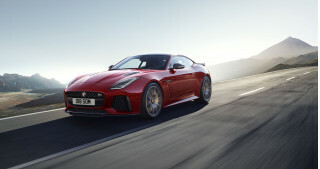 Its rivals include the Audi R8, Chevy Corvette, Jaguar F-Type and even the Mercedes-AMG GT. A new 911 bows for the 2020 model year and so far it has only been introduced in S and 4S models for the coupe and convertible body styles. The targa body, as well as the base, T, GTS, Turbo, GT3, GT2 (maybe) models will roll out over the next few years, and a hybrid may come as well. While the base price usually starts around $90,000, the new 992-generation S coupe now tops $114,000, an increase of about $8.000 over the 991-generation. Prices can reach to the sky from there thanks to a seemingly endless options list. The new 2020 911s retain their vestigial rear seating, although some 2019 models that carry on feature seating for just two. Porsche introduced the eighth-generation 911 at the 2018 Los Angeles Auto Show. Like it has over the years, the new 911 grows in size. It's 0.8 inches longer, 1.8 inches wider up front, and the S model is now 1.5 inches wider in the rear to match the wide body of the 4S model. All of the body panels, except for the front and rear fascias, are now aluminum, and the body structure is 5 percent stronger. Underneath, the new hardware and software for its adjustable adaptive dampers are designed to make the right more comfortable when cruising and more agile in the Sport mode. The rear wheels are now 21 inchers instead of 20s, and Porsche says this, combined with the wider front track, helps create more neutral handling and better turn-in response. The S models' engine is upgraded to produce 443 horsepower and 390 pound-feet of torque, which marks increases of 23 and 22, respectively. 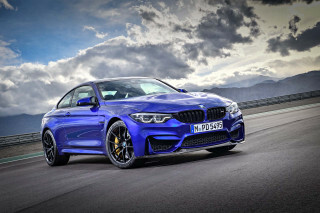 That's good enough to rocket the 4S to 60 mph in 3.2 seconds and push the S to a top speed of 195 mph, both the with optional Sport Chrono Package. The lone transmission is an 8-speed dual-clutch automatic with steering wheel shift paddles that replaces a 7-speed dual-clutch. It has shorter gears for first through seventh and a long eighth gear for fuel economy on the highway. Expect a 7-speed manual later. Porsche offers lots of performance features to improve what is already a track-ready car. 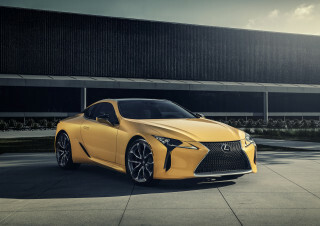 They include active roll bars, rear-axle steering, carbon-ceramic brakes, a sport exhaust, and a sport suspension that is lowered 0.4 inches. Also on the options list are a front-axle lift system, glass or steel sunroofs, Bose or Burmester sound systems, and lots of color and trim choices that can be applied to various bits of the interior. The 2020 Porsche 911 also adds safety features. For the first time it gets gets forward-collision warnings with automatic emergency braking (pedestrian detection is also included). Also available are adaptive cruise control (now with stop-and-go capability), blind-spot monitors, active lane control with traffic sign recognition, and surround-view and night vision camera systems. A new Wet mode adjusts various vehicle systems to make the 911 safer to drive on low-friction surfaces. While the 992-generation S and 4S models hit the dealers this summer, the rest of the lineup will continue on with the 991-generation design (see below). Since 1963, the 911 has seen nearly endless permutations, yet there have been only five major generational changes. The original 911 ran from 1963 to 1989 in its core form with a variety of rear-mounted engines, including turbocharged variants. It established the fastback, sloping hood, and bulging fender look that has defined the car's exterior appearance ever since. The second-generation, 964-series 911 ran from 1989 to 1993. 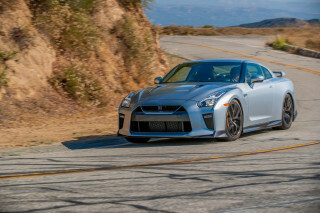 It added four-wheel drive as an option, an automatically deploying rear spoiler, anti-lock brakes, and power steering. These all served to improve handling, performance, and daily usability, but somewhat softened the 911's image. The third generation, or 993-series, 911 saw an all-new front- and rear-end treatment, though the spirit of the original still showed through. A new multi-link rear suspension improved handling, and the chassis was improved for further gains. This was the final generation that used an air-cooled engine. The fourth-generation, 996-series 911 moved to a water-cooled engine, but kept the famous flat-six layout. It also was the first complete redesign of the 911's exterior—each body panel was different, yet added up to a look that still adhered to the classic 911 formula. All-wheel-drive, rear-wheel-drive, turbo, twin-turbo, GT3, and GT2 variants offered a wide variety of performance options that all relied on the same core underpinnings. The 997 series of the 911 Carrera began its run in 2005. Initially offered with a 3.6-liter flat-6, the 997 911 upgraded to a 3.8-liter engine in the Carrera S. Available in both coupe and cabriolet forms, the 997 911 could be had in no fewer than 17 variants, including the Carrera, Cabriolet, Targa, and Turbo, each offering all-wheel-drive and sportier "S" variants, plus the GT3, GT3 RS, and GT2 RS. This wide variety of models ranged in output from 325 hp in the base Carrera to 620 hp in the GT2 RS. Available transmissions included a 6-speed manual and a 5-speed automatic. The 997.2 arrived for 2009. The engines added direct injection and hp increased to 345 in the base model and 385 in the Ss. The conventional automatic also gave way to the new Porsche Doppelkupplungsgetriebe (PDK) 7-speed dual-clutch transmission. The name translates very simply—and logically—to Porsche dual-clutch gearbox. For the 2012 model year, Porsche introduced the 991 series, though it continued sales of some 997 models as well. The new 991 boasted upgraded engines, a new 7-speed manual transmission, a revised 7-speed dual-clutch PDK, and a wider front track and longer wheelbase. In addition, the 991 911 was about 100 pounds lighter than the 997. 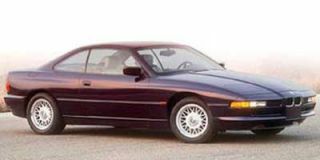 A heavily revised and improved interior made it the most comfortable yet, and the improvements to the chassis and powertrain improved performance. The Carrera 4 and 4S joined the model lineup in the 2013 model year, in both coupe and cabriolet variants. Also new for 2013 was a standard adaptive cruise control system in PDK-equipped models, as well as forward collision avoidance and a panoramic glass sunroof option. The 991-based GT3 joined the range at the 2013 Geneva Motor Show, bringing with it a 3.8-liter engine rated at 475 hp, a new GT3-specific setup for its PDK transmission, and rear-axle steering. This track-focused version of the 911 confused some traditionalists with its lack of a manual transmission option, but for those focused on track performance, it made perfect sense. The highest-power versions of the 911, the Turbo and Turbo S, arrived for the 2014 model year, bringing up to 560 hp and brutally quick acceleration. Available in both coupe and cabriolet body styles, the Turbos could hit 60 mph in as little as 2.9 seconds. For 2015, Porsche added Targa models of the 911 with standard all-wheel drive and either base (Targa 4) or S-level (Targa 4S) powertrains. The 911 GTS also made its first appearance in the 991 generation, offering performance above the Carrera S. It was offered as a coupe or a convertible and with or without all-wheel drive. The GTS received a 430-hp version of the Carrera S's flat-6 engine and could reach 60 mph in as little as 3.8 seconds. As if it needed more model variants, Porsche launched a Targa 4 GTS at the 2015 Detroit auto show, combining the Targa body, all-wheel drive, and the GTS's hopped-up engine. The 2016 model year saw the addition of a new 911 GT3 RS. To the GT3 it added a lighter body, refined aerodynamics with a huge rear wing, a 500-hp flat-6 engine, and a standard PDK automatic transmission. In 2017, Porsche made a major change to the 911's engine lineup. The standard Carrera adopted, for the first time, a turbocharged flat-6 engine. The twin-turbocharged, 3.0-liter flat-6 increased output to 370 horsepower and 331 pound-feet of torque in Carrera models and 420 hp and 368 lb-ft in the Carrera S.
Despite the downsized engines, both models offered significantly improved performance for 2017; the Carrera could reach 60 mph in 4.0 seconds with the 7-speed dual-clutch transmission—or just 3.7 seconds with the PDK in the Carrera S. A new Sport Response button also aimed for maximum performance and acceleration. Top speed for the 911 increased to 191 mph in Carrera S form or 183 mph for the Carrera. The 911 Turbo and Turbo S models also enjoyed a similar bump in power. The 911 Turbo jumped to 540 hp and the Turbo S moved all the way to 580 hp. For 2018, the 911 reached a new zenith: the 690-hp 911 GT2 RS. The fastest road-going Porsche 911 ever made, the 911 GT2 RS boasted carbon-fiber construction everywhere, specially made lightened wheels, and a PDK automatic to power just the rear wheels. With a 0-60 mph run of less than 3.0 seconds, a Nürburgring track record (for a time), and a nearly $300,000 price, the GT2 RS has few rivals, if any. Maybe our imaginations? 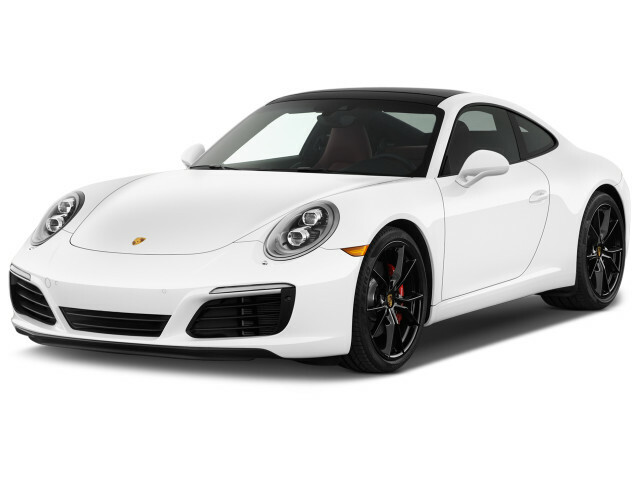 The 2017 911 Carrera is an all around great car with superb handling, power, and even good mileage!